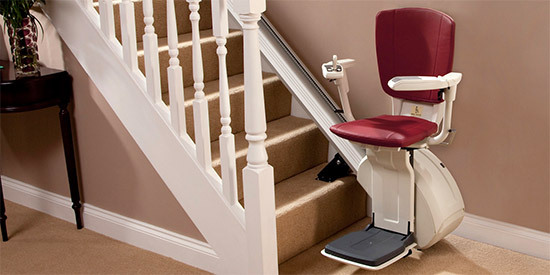 Allcare Stairlifts are a premier supplier and installation specialist of Curved Strairlifts throughout Castleford, Pontefract, Ferrybridge, Normanton, Featherstone and the surrounding areas of Yorkshire. Does your home have a staircase with curves or corners? Curved stairlifts have tracks that are designed to handle the challenges of twists and turns without making a mess of your stairs. When a staircase becomes an everyday struggle and a risk to you or your loved one's safety, many people look to sell up and move home. The solution to your staircase problems may be as simple as adapting the stairs with an affordable Curved Stairlift. Every home is different, each with bends and curves in different places within the staircase; Allcare Stairlifts are specialists at custom fitting Curved Stairlifts to suit the exact layout of your stairs, and more importantly, to suit your own individual needs.